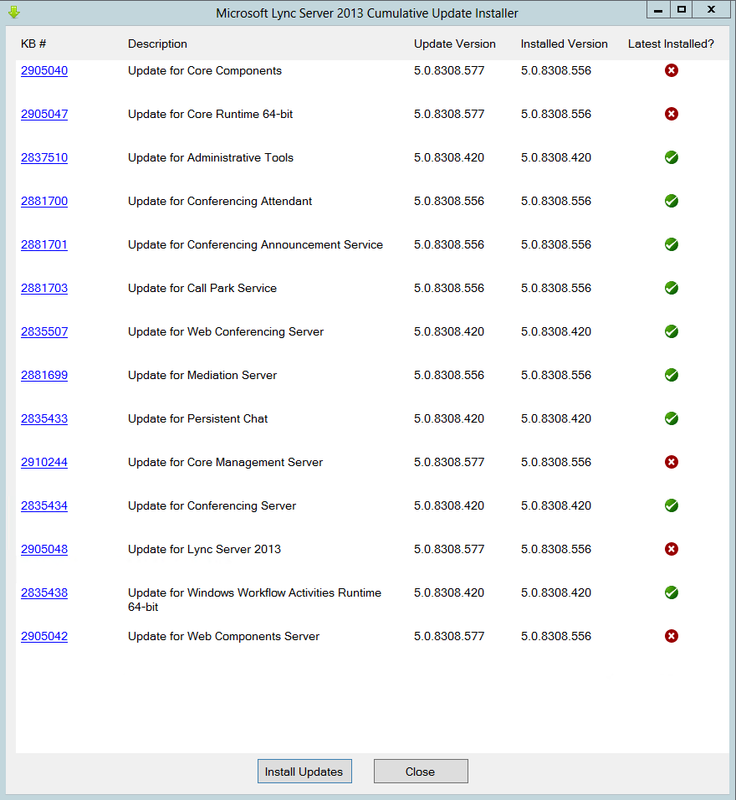 Happy new year – have a Lync update! 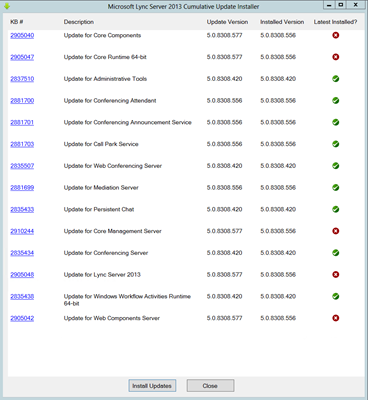 The CU4 update for Lync Server 2013 has landed, and at first glance there’s at least one fix for which I already carry a scar. My Front-End updates only 5 components. This update takes the Server to 5.0.8308.577 (from .556). The installation didn’t force me to reboot the server, but it’s always good to give it a cleansing reboot with every new CU. No Need for a Database Update! Yay! The installation process doesn’t stipulate a requirement to run any database update commandlets. I thought I’d give it a whirl anyway, and I can confirm that none of the database components (as listed by Doug here) were changed as part of that process. Sql version: Major: 11, Minor: 0, Build 2100. Checking state for database rtc. Database created by script "RtcDatabase" already exists and is current. VERBOSE: All databases at the specified installation location are already up to date.